The educational design of this activity addresses the needs of dermatologists, allergists, and other clinicians who treat patients with atopic dermatitis. Atopic dermatitis is a common, chronic inflammatory disease that manifests primarily in the skin, although research has uncovered potentially deleterious effects in other organ systems throughout the body.1,2 The disease-related physical and biopsychosocial burdens of atopic dermatitis can have a substantial effect on patients’ quality of life, particularly in those with moderate-to-severe disease.3,4 A better understanding of atopic dermatitis etiology has supported the development of new approaches to disease characterization and targeted therapies.5,6 As a result, the first biologic therapy is now available to treat patients with moderate-to-severe disease, and several other therapies are in late-stage clinical development.7-10 With novel therapies emerging for patients with difficult-to-treat atopic dermatitis, dermatologists will benefit from updates on the latest clinical trial data and practical recommendations on how to translate those results into daily clinical decision-making. In this Evidence-Based Best Practices™ program, internationally recognized experts will review the latest published evidence with a goal of providing recommendations to enhance overall patient outcomes. The expert faculty panel will discuss the pathophysiologic underpinnings of atopic dermatitis, share best practices related to comprehensive patient evaluations, and relay their own clinical experience in managing patients with moderate-to-severe disease. Nutten S. Atopic dermatitis: global epidemiology and risk factors. Ann Nutr Metab. 2015;66(suppl 1):8-16. Brunner PM, et al. Increasing comorbidities suggest that atopic dermatitis is a systemic disorder. J Invest Dermatol. 2017;137(1):18-25. Whiteley J, et al. The burden of atopic dermatitis in US adults: results from the 2013 National Health and Wellness Survey. Curr Med Res Opin. 2016;32(10):1-7. [Epub ahead of print]. Drucker AM, et al. The burden of atopic dermatitis: summary of a report for the National Eczema Association. J Invest Dermatol. 2017;137(1):26-30. Mansouri Y, Guttman-Yassky E. Immune pathways in atopic dermatitis, and definition of biomarkers through broad and targeted therapeutics. J Clin Med. 2015;4(5):858-873. Gandhi NA, et al. Targeting key proximal drivers of type 2 inflammation in disease. Nat Rev Drug Discov. 2016;15(1):35-50. Simpson EL, et al. Two phase 3 trials of dupilumab versus placebo in atopic dermatitis. N Engl J Med. 2016;375(24):2335-2348.
de Bruin-Weller M, et al. Dupilumab with concomitant topical corticosteroid treatment in adults with atopic dermatitis with an inadequate response or intolerance to ciclosporin A or when this treatment is medically inadvisable: a placebo-controlled, randomized phase III clinical trial (LIBERTY AD CAFÉ). Br J Dermatol. 2018;178(5):1083-1101. Boguniewicz M. Biologic therapy for atopic dermatitis: moving beyond the practice parameter and guidelines. J Allergy Clin Immunol Pract. 2017;5(6):1477-1487. Cotter DG, et al. Emerging therapies for atopic dermatitis: JAK inhibitors. J Am Acad Dermatol. 2018;78(3S1):S53-S62. Global Education Group designates this enduring activity for a maximum of 1.0 AMA PRA Category 1 Credit™. Physicians should claim only the credit commensurate with the extent of their participation in the activity. In order to receive credit for this activity, the participant must score 70% on the posttest and complete the program evaluation. Grant/Research Support: Regeneron Pharmaceuticals, Inc., Sanofi Genzyme. Consultant/Advisor: AbbVie Inc., Eli Lilly and Company, Galderma Laboratories, L.P., LEO Pharma Inc., Menlo Therapeutics Inc., Pfizer Inc., Regeneron Pharmaceuticals, Inc., Sanofi Genzyme. Grant/Research Support: Eli Lilly and Company, GlaxoSmithKline, Novartis Pharmaceuticals Corporation, Regeneron Pharmaceuticals, Inc., Vanda Pharmaceuticals Inc.
Consultant/Advisor: Almirall Limited, Beiersdorf AG, Galderma S.A., LEO Pharma Inc., L’Oréal S.A., MedImmune, LLC, Pierre Fabre Laboratories, Pfizer Inc., Regeneron Pharmaceuticals, Inc., Sanofi-Aventis Europe S.A.S. Grant/Research Support: Beiersdorf AG, LEO Pharma Inc. Speakers Bureau: Almirall Limited, Anacor Pharmaceuticals, Inc., Astellas Pharma Europe Ltd, Beierdsorf AG, Bioderma Laboratoire Dermatologique, Celgene Corporation, Chugai Pharmaceutical Co., Ltd., Galderma S.A., Hans Karrer GMBH, LEO Pharma Inc., L’Oréal S.A., Meda AB, MedImmune, LLC, Merck Sharp & Dohme Corp., Novartis Pharma AG, Pierre Fabre Laboratories, Pfizer Inc., Regeneron Pharmaceuticals, Inc., Sanofi-Aventis Europe S.A.S. Rheumatologists, primary care physicians, internists, nurse practitioners, nurses, physician assistants, and other healthcare professionals involved in the management of patients with psoriatic arthritis and ankylosing spondylitis. This CME/CNE activity is derived from content presented at the International Society for Musculoskeletal Imaging in Rheumatology (ISEMIR) Annual Meeting in Dallas, Texas. The expert faculty, Dr. Alvin F. Wells, will review the characteristics of both psoriatic arthritis (PsA) and ankylosing spondylitis (AS) to ensure accurate detection and early diagnosis. Recent guidelines for the treatment and management of PsA and AS patients will be analyzed, along with approved and emerging therapeutic options and their clinical relevance. Dr. Wells will relay best practices for switching therapies and managing the adverse events associated with approved therapies utilizing the interprofessional team. At the conclusion of this activity, clinicians will become better acquainted with optimal treatment strategies to improve their care of psoriatic arthritis and ankylosing spondylitis patients. Health care team members need to understand the most recent clinical trial data regarding the treatment of management of patients with psoriatic arthritis and ankylosing spondylitis. All faculty AND staff involved in the planning, review or presentation of continuing education activities sponsored/provided by Purdue University College of Pharmacy are required to disclose to the audience any relevant commercial financial affiliations related to the content of the presentation or enduring material. Full disclosure of all commercial relationships must be made in writing to the audience prior to the activity. All additional planning committee members, reviewers, Purdue and AcademicCME staff have nothing to disclose. Consultant/Advisor: AbbVie Inc.; Amgen Inc.; Bristol-Myers Squibb Company; Celgene Corporation; Crescendo Bioscience, Inc.; Forest Laboratories; Genentech; GlaxoSmithKline; Janssen Scientific Affairs LLC; Lilly USA, LLC; Pfizer Inc.; Quest Diagnostics; Regeneron; Sanofi; Takeda Pharmaceutical Company Limited; UCB. Speaker’s Bureau: AbbVie Inc.; Amgen Inc.; Bristol-Myers Squibb Company; Celgene Corporation; Crescendo Bioscience, Inc.; Forest Laboratories; Genentech; GlaxoSmithKline; Janssen Scientific Affairs LLC; Lilly USA, LLC; Pfizer Inc.; Quest Diagnostics; Regeneron; Sanofi; Takeda Pharmaceutical Company Limited; UCB. This activity has been planned and implemented in accordance with the accreditation requirements and policies of the Accreditation Council for Continuing Medical Education (ACCME) through the joint providership of Purdue University College of Pharmacy and AcademicCME, an equal access/equal opportunity institution, is accredited by the ACCME to provide continuing medical education for physicians. Purdue University College of Pharmacy designates this enduring material for a maximum of 0.75 AMA PRA Category 1 Credit™. Physicians should claim only the credit commensurate with the extent of their participation in the activity. Purdue University Continuing Nursing Education is accredited as a provider of continuing nursing education by the American Nurses Credentialing Center’s Commission on Accreditation. This program has been approved for 0.75 contact hour. Healthcare providers who receive a grade of 70% or better on the Post-Activity Test Questions and who complete the Evaluation will receive a CME/CNE Certificate. Healthcare providers should claim only the credit commensurate with the extent of their participation in the activity. This activity is supported by independent educational grants from Janssen Global Services LLC; Lilly USA, LLC; and Novartis Pharmaceuticals Corporation. This educational activity may contain discussion of published and/or investigational uses of agents that are not indicated by the FDA. AcademicCME; Purdue University College of Pharmacy; Janssen Global Services LLC; Lilly USA, LLC; and Novartis Pharmaceuticals Corporation do not recommend the use of any agent outside of the labeled indications. For all CME/CNE inquiries or special needs, please contact admin@academiccme.com or 610-687-3300. The intended audience for this activity is allergists and other health care professionals involved in the treatment of patients with chronic idiopathic urticaria (CIU). Assess the impact of chronic idiopathic urticaria (CIU) on quality of life, including sleep, psychological functioning, work and activity. Compare the strengths and limitations of current guideline approaches to the management of CIU. Select treatment options for patients with CIU who fail to achieve complete symptom control with first- and second-line therapy. Urticaria, a common skin condition characterized by transient pruritic wheals, occurs in 20% to 25% of individuals within their lifetimes. Urticaria can be classified by both symptom duration and underlying etiology. Patients who experience symptom recurrence for a duration over 6 weeks may be diagnosed as having chronic idiopathic urticaria (CIU). CIU negatively impacts physical functioning, work performance, emotional well-being, and overall quality of life, with an impact similar in magnitude to that experienced by patients with coronary disease awaiting bypass surgery. A US practice guideline issued in 2014 and an updated international guideline issued in 2018 are available to guide diagnosis and treatment of urticaria. Although the recommendations in these guidelines largely overlap, specialists need to be knowledgeable about their strengths and limitations to select optimal treatment strategies for their patients. This CME activity will assess the impact of CIU on quality of life, particularly its impact on sleep, psychological functioning, work, and activity. Current guideline approaches to the management of CIU will be evaluated, as well as treatment options for patients with CIU who fail to achieve complete symptom control with first- and second-line therapy. In accordance with the Accreditation Council for Continuing Medical Education’s Standards for Commercial Support, all CME providers are required to disclose to the activity audience the relevant financial relationships of the planners, faculty, reviewers and staff involved in the development of CME content. An individual has a relevant financial relationship if he or she has a financial relationship in any amount occurring in the past 12 months with a commercial interest whose products or services are discussed in the CME activity content over which the individual has control. Signed Disclosure(s) are on file at Vindico Medical Education, Office of Medical Affairs and Compliance. Vindico Medical Education designates this enduring material for a maximum of 1.0 AMA PRA Category 1 Credit(s)™. This enduring material is approved for 1 year from the date of original release, April 18, 2019 to April 17, 2020. To participate in this CME activity, you must read the objectives, answer the pretest questions, watch the presentations, and complete the posttest and evaluation. Provide only one (1) correct answer for each question. A satisfactory score is defined as answering 3 out of 4 of the posttest questions correctly. Upon receipt of the completed materials, if a satisfactory score on the posttest is achieved, Vindico Medical Education will issue an AMA PRA Category 1 Credit(s)™ Certificate or Participation Certificate. This educational initiative has been designed for family practice and primary care providers (PCPs) involved in the management of patients with diabetes. A BioDigital Human on-demand simulation activity has been developed as a derivative of the live program content. Simulation decisions and feedback will be supported by evidence-based content and expert faculty explanation. Although practitioners know poor glycemic control puts their patients at increased risk for developing diabetes complications, many delay insulin therapy. This program has been developed to aid family practice clinicians, who are at the frontline of care for these individuals. It will examine the safety, efficacy, and pharmacokinetic/pharmacodynamic (PK/PD) data of newer basal insulin analogs as compared to older insulins. In addition, our faculty will review clinical data on combinations of basal insulin with rapid-acting insulin and GLP-1 receptor agonists and provide updates on newer follow-on insulin therapies. The ultimate goal is to provide clinicians with the skills to provide patient-centered care in order to individualize therapy and improve patient satisfaction, adherence and quality of life (QOL). Integrity Continuing Education requires instructors, planners, managers, and other individuals who are in a position to control the content of this activity to disclose any real or apparent conflict of interest they may have as related to the content of this activity. All identified conflicts of interest are thoroughly vetted by Integrity Continuing Education for fair balance, scientific objectivity of studies mentioned in the materials or used as the basis for content, and appropriateness of patient care recommendations. Michelle R. Rizzo, ELS, hereby states that she or her spouse/life partner do not have any financial relationships or relationships to products or devices with any commercial interest related to the content of this activity of any amount during the past 12 months. Integrity Continuing Education, Inc. is accredited by the Accreditation Council for Continuing Medical Education to provide continuing medical education for physicians. Integrity Continuing Education, Inc. designates this enduring material for a maximum of 1.0 AMA PRA Category 1 Credit(s)™. Physicians should claim only the credit commensurate with the extent of their participation in the activity. This educational activity may contain discussion of published and/or investigational uses of agents that are not indicated by the FDA. Integrity Continuing Education, Inc. and Sanofi US and Novo Nordisk do not recommend the use of any agent outside of the labeled indications. For information about the ACCME accreditation of this activity, please contact Integrity Continuing Education, Inc. at (855) 835-4004 or via email at information@integrityce.com. Supported by educational grants from Sanofi US and Novo Nordisk. Postgraduate Institute for Medicine (PIM) in joint providership with RMEI Medical Education, LLC (RMEI). This activity is designed to engage your critical thinking and challenge suboptimal approaches to patient care. It features videos of 2 patients with CU and challenging interactive questions related to their histories and treatments. You will have an opportunity to hear the patients’ perspectives of CU and learn from our expert faculty. World Allergy Organization. Urticaria and angioedema: synopsis. 2004. www.worldallergy.org/professional/allergic_diseases_center/urticaria/urticariasynopsis.php. Accessed January 18, 2019. Michael E. Manning, MD, FAAAAI, FACAAI, is president of Allergy, Asthma and Immunology Associates, Ltd., and medical director of the clinical research division, Medical Research of Arizona. 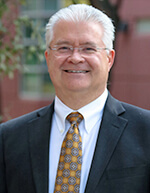 Dr Manning received his medical degree from the University of Texas Medical School at Houston. He completed an internship and subsequently residency in internal medicine at St. Joseph’s Hospital and Medical Center in Phoenix, AZ, and an allergy and immunology fellowship at Scripps Clinic and Research Foundation in La Jolla, CA. 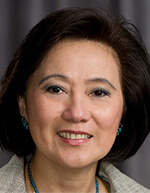 Dr Ditto was invited to fellowship in the American College of Physicians (ACP) and Royal Society of Medicine (RSM) and her distinguished teaching and volunteer work has been recognized through numerous awards, including the Northwestern Medical Faculty Foundation “Center of Excellence Award” for Community Service and Community Health’s “Volunteer Specialist of the Year”. Dr Ditto is a former president of the Illinois Society of Allergy, Asthma and Immunology and currently serves as Governor of the Midwest Region of the American Academy of Allergy, Asthma and Immunology’s Federation of Regional State and Local Allergy, Asthma and Immunology Societies (RSLAAIS) and also serves as vice-chair of the AAAAI anaphylaxis committee. 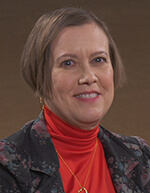 She has published numerous articles and book chapters in the field of allergy-immunology and recently edited the “Anaphylaxis” issue of Immunology and Allergy Clinics of North America. 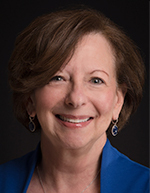 Anne M. Ditto, MD, has no affiliations with commercial interests to disclose. The PIM planners and managers have nothing to disclose. The RMEI Medical Education, LLC planners and managers have nothing to disclose. The patients have nothing to disclose. Physicians, nurse practitioners, and PAs who successfully complete the post-test and evaluation will receive CME credit. You must score 75% or higher on the post-test to receive credit for this activity. All other participants who successfully complete the post-test and evaluation will receive a certificate of participation. If you would like to contact Postgraduate Institute for Medicine, please e-mail information@pimed.com. The educational design of this activity addresses the needs of nephrology and primacy care HCPs involved in the treatment of patients with ADPKD. Autosomal dominant polycystic kidney disease (ADPKD) is a chronic inherited progressive condition in which renal cysts develop and expand, eventually leading to severe loss of kidney function. Complications include pain, hypertension, and cardiovascular disease. Unless patients undergo dialysis or transplantation, ADPKD is inevitably fatal. Because it is a genetically transmitted disease, there is a 50/50 chance that each child of a parent with ADPKD will develop the disease. Management of ADPKD has evolved significantly in recent years; in 2018, the first drug indicated for slowing progression of the disease was approved. ADPKD is considered a rare disease, but with a prevalence of approximately 1:1000, the odds are high that most primary care practices have 1 or more patients with the condition – whether or not it has been diagnosed. Primary care providers would benefit from education that raises their awareness of ADPKD, explains strategies for managing the disease and its complications, and provides them with tools to promote and preserve optimal patient health for as long as possible. This unique online Clinical Comparison CME/CE activity allows learners to learn about ADPKD, discover evidence-based treatment strategies, apply their learning in a series of interactive real-world challenges, receive feedback on their choices, and compare their choices with those of their peers. The content of the program was developed, in part, through interviews with ADPKD patients and their caregivers, who shared their insights and what they wish their clinicians knew about the disease, its management, and its impact on their lives. Copyright © 2018 by Global Academy for Medical Education, LLC, Frontline Medical Communications Inc. and its Licensors. All rights reserved. No part of this publication may be reproduced or transmitted in any form, by any means, without prior written permission of the Publisher. Global Academy for Medical Education, LLC, the accredited provider or the Publisher will not assume responsibility for damages, loss, or claims of any kind arising from or related to the information contained in this publication, including any claims related to the products, drugs, or services mentioned herein. This activity is designed for general neurologists and headache specialists. Other healthcare professionals, including physician assistants, nurse practitioners, nurses, and pharmacists, who treat patients with headache may also benefit from participation in the educational activity. Describe new advances in the pathophysiology of migraine, a chronic neurologic disease. Describe major emerging acute and preventive migraine therapies. Paradigm shift, or shattered? The thinking around both preventive and acute treatment of migraine is amidst a radical change. From a new class of treatment targeting disease-specific pathophysiology to emerging therapies incorporating neuromodulatory devices, Stewart Tepper, MD, gets practicing clinicians up to speed in a Hot Topics Webinar that details the key treatment advances transforming migraine care. With the recent approvals of new breakthroughs, neurologists are faced with two challenges: staying abreast of the rapidly expanding evidence base to inform acute and preventive treatment of migraine (knowledge-based gaps) and interpreting data of approved and investigational therapies to best guide clinical decision-making (competency-based gaps). Faculty: Stewart J. Tepper, MD, has received salary from Dartmouth-Hitchcock Medical Center and from the American Headache Society and royalties from Springer; he has been a consultant or on an advisory board for Acorda Therapeutics, Alder BioPharmaceuticals, Alexza Pharmaceuticals, Allergan, Alphasights, Amgen, Autonomic Technologies, Axsome Therapeutics, Cefaly, Charleston Laboratories, DeepBench, Dr. Reddy’s Laboratories, electroCore, Eli Lilly and Company, eNeura, GLG Pharma, Guidepoint Global, Magellan Rx Management, Neurolief, Nordic BioTech, Pfizer, Scion Neurostim, Slingshot Insights, Supernus Pharmaceuticals, Teva Pharmaceutical Industries, and Zosano Pharma Corporation; Dr. Tepper has contracted research for Alder BioPharmaceuticals, Allergan, Amgen, Autonomic Technologies, Dr. Reddy’s Laboratories, electroCore, eNeura, Scion Neurostim, Teva Pharmaceutical Industries, and Zosano Pharma Corporation; he has ownership interest in Autonomic Technologies. Planner (Forefront Collaborative): Lily Zurkovsky, PhD, has disclosed that she has personal stock in Teva Pharmaceutical Industries. Forefront Collaborative designates this enduring activity for a maximum of 0.25 AMA PRA Category 1 Credit™. Physicians should claim only the credit commensurate with the extent of their participation in the activity. Participants must complete and submit the online CME evaluation form at the conclusion of the activity and achieve a passing score of 3 out of 3. Certificates will be generated upon completion and submission of the evaluation form. The views and opinions expressed in this activity are those of the faculty and do not necessarily reflect the views or recommendations of Forefront Collaborative. The content of this activity was independently peer reviewed. The reviewer of this activity has no relevant financial relationships to disclose. This continuing medical education activity will include reference to unlabeled or unapproved uses of drugs or devices. Disclosure: No relevant financial relationships to disclose. The prevalence of peanut allergy in adults and children continues to increase, significantly disrupting the lives of the millions of affected individuals as well as their families. Although no therapies have been approved for the treatment of peanut allergies, several are currently being evaluated in clinical studies, providing the potential for safe and effective therapeutic options. Within this Rapid Response from Seattle, experts in the field examine the prevalence and burden of IgE-mediated food allergy with a focus on peanut allergy, assess the latest clinical data regarding the use of oral immunotherapy for the treatment of patients with peanut allergy, and evaluate the challenges associated with heterogeneity in terminology used in immunotherapy clinical trials for the management of patients with peanut allergy. Examine the prevalence and burden of IgE-mediated food allergy, with a focus on peanut allergy. Assess the latest clinical data regarding the use of oral immunotherapy for the treatment of patients with peanut allergy. Examine the challenges associated with heterogeneity in terminology used in immunotherapy clinical trials for the management of patients with peanut allergy. The intended audience for the activity is allergists, immunologists and other health care professionals involved in the treatment of patients with food allergies, particularly peanut allergy. In accordance with the Accreditation Council for Continuing Medical Education’s Standards for Commercial Support, all CME providers are required to disclose to the activity audience the relevant financial relationships of the planners, teachers, and authors involved in the development of CME content. An individual has a relevant financial relationship if he or she has a financial relationship in any amount occurring in the past 12 months with a commercial interest whose products or services are discussed in the CME activity content over which the individual has control. Relationship information appears above. To participate in this CME activity, you must read the objectives, answer the pretest questions, view the CME content, and complete the posttest and evaluation. Provide only one (1) correct answer for each question. A satisfactory score is defined as answering 66% of the posttest questions correctly. Upon receipt of the completed materials, if a satisfactory score on the posttest is achieved, Vindico Medical Education will issue an AMA PRA Category 1 Credit(s) Certificate. This activity is supported by an educational grant from Aimmune Therapeutics. The material presented at or in any Vindico Medical Education continuing education activity does not necessarily reflect the views and opinions of Vindico Medical Education. Neither Vindico Medical Education, nor the faculty endorse or recommend any techniques, commercial products, or manufacturers. The faculty/authors may discuss the use of materials and/or products that have not yet been approved by the US Food and Drug Administration. All readers and continuing education participants should verify all information before treating patients or utilizing any product. This educational initiative has been designed for allergists, pulmonologists, and otolaryngic allergists involved in the management of patients with severe asthma. Despite recent advances in our understanding of the pathophysiology of asthma and a corresponding expansion of targeted treatment modalities, severe asthma care continues to be a challenge in clinical practice. This program is designed to address this issue by imparting clinical knowledge and competence to clinicians that will promote comprehensive assessment and highly personalized treatment of patients whose symptoms meet the criteria for severe asthma. In addition, this initiative is also targeted at providing clinicians with guidance on strategies for improving disease awareness, increasing collaborative decision-making, and promoting self-management among patients with severe asthma. Data Monitoring Boards/Study Oversight Committees: Boston Scientific, Genentech, ICON Clinical Research Ltd. The Integrity CE planners and managers have nothing to disclose. Integrity Continuing Education, Inc. designates this enduring material for a maximum of 1.0 AMA PRA Category 1 Credit™. Physicians should claim only the credit commensurate with the extent of their participation in the activity. This educational activity may contain discussion of published and/or investigational uses of agents that are not indicated by the FDA. Integrity Continuing Education, Inc. and Sanofi Genzyme and Regeneron Pharmaceuticals do not recommend the use of any agent outside of the labeled indications. The information provided at this CME activity is for continuing education purposes only and is not meant to substitute for the independent medical judgment of a physician relative to diagnostic and treatment options of a specific patient’s medical condition. Supported by an educational grant from Sanofi Genzyme and Regeneron Pharmaceuticals.